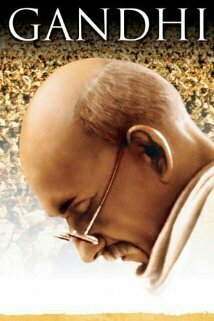 I watched Gandhi for the first time this past weekend. It’s been a while since I’ve studied him in school, so the movie was a great refresher. A just cause tends to attract just supporters. People flocked to Gandhi as he took a stand for what was right. A just cause needs good communication to organize and carry on. Without Gandhi’s writings, it would have been difficult for him to reach everyone and have them on the same page. Take the wins you can get. When Gandhi won his fight against an unjust law in South Africa, he accepted it without trying to fight the next battle (immigration reform) simultaneously. Smart. Be yourself. Upon arriving in India, Gandhi was thronged by crowds of admirers and was expected to give a grand speech. But he didn’t have anything to say, so he simply offered a short thank you and was on his way. See and speak the truth courageously. After touring India, Gandhi saw the incredible poverty and needs of the people. When asked to talk before a gathering of Indian leaders, he scolded them and called them to a higher standard. There were many other examples of his willingness to speak the truth when he knew it could get him in trouble. Be a thought leader and refuse to sell out to lesser ideas. There were many who were interested in what Gandhi had to say but wanted to convert him to their agendas. He wisely refused and stayed the course. Align your lifestyle and relationships around your cause. Gandhi lived like the people he was trying to help and embodied the ideals he was calling them to. He was also willing to make hard calls; i.e. asking one of his main assistants to leave because his presence was no longer helpful. Be excessively humble. Gandhi didn’t seem to think of himself as a great man. He recognized his own flaws which gave him grace for the flaws in others. Accept the repercussions that come with fighting injustice and understand that the backlash can actually be beneficial. Gandhi was constantly being arrested and imprisoned, yet he understood that this was all part of a larger process being played out. You may not be living for justice if you are not willing to die to fight injustice. Gandhi and his supporters were willing to be imprisoned, attacked, and even killed for their cause. Gandhi was even willing to fast to the point of death several times for what he believed in. His cause eventually led to his assassination. To stop the cause when it gets hard is to surrender the cause. Imagine if Gandhi had called it all off when the British began firing. It would have been proclaiming that violence and force trump nonviolence and love; the antithesis of his message. Gandhi knew they had to keep going. You don’t need to fight every battle. In one scene, Gandhi was trying to explain India’s desire for independent rule to a panel of British generals. One of them astonishingly proclaimed, “India is British! We aren’t an alien power.” Instead of trying to argue with him, Gandhi kept quiet and focused on the big picture. If you start a controlled fire, others may take some and start uncontrolled fires. As often happens in movements, some of the Indian protesters took it too far and began attacking police, and later, each other. Take the hits to stop others from taking or giving the hits. Gandhi fasted in protest to the Indian violence going on and his sacrifice had a powerful effect on the people. It is unjust to follow an unjust law. Gandhi wasn’t rebelling against good and proper authority but against harmful and illegitimate authority. This was an important distinction he made early on. Nonviolent resistance can happen in very creative, symbolic, and powerful ways. Gandhi’s famous march to the sea was on the anniversary of the massacre, and the act of making salt there was a subversive, empowering one. The media can be your friend. Gandhi’s cause was greatly helped by reporters interested in telling his story. Their involvement shone more light into the darkness. Make the most of your life. Gandhi could have settled for the mediocre and the status quo, but instead he chose to give his life to the pursuit of peace and justice. The world is forever changed because of it. I love how you learn from everything!